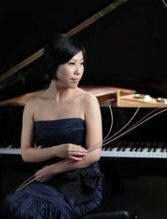 On Saturday, November 12, the Mother Lode Friends of Music, the regional organization of classical music performance, presents a concert by the internationally acclaimed string quartet, the Friction Quartet, with Chinese-American concert pianist Jenny Q Chai and composer/percussionist Andy Akiho. The concert takes place at the Sutter Creek Theatre, 44 Main Street, in Sutter Creek, and starts at 3 pm. The event will feature the world premiere of the Quintet for Piano and Strings of Akiho, composed specifically for the Friction Quartet under a commission from Chamber Music of America, the national organization representing professional chamber musicians. Also on the program is the Piano Quintet of Robert Schumann, one of the undisputed monuments of the classical music repertoire, and In Exchange, a composition by Akiho for string quartet and steel pan. Akiho is a virtuoso on the steel pan, a large metal bowl originating from the Caribbean which sounds much like a marimba. 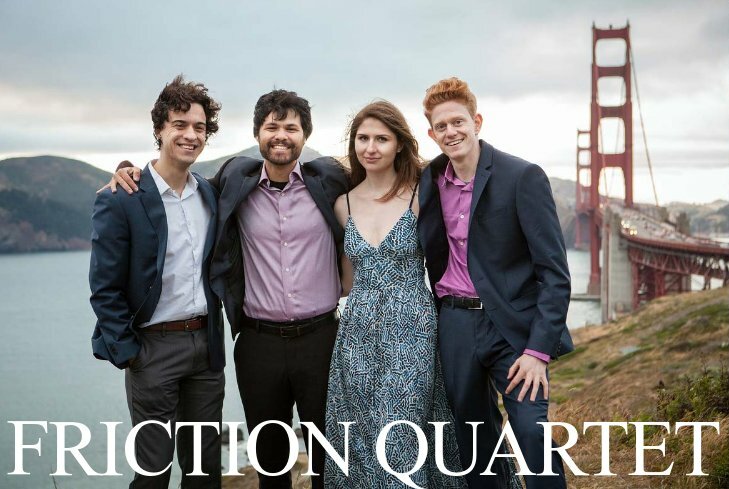 The Friction Quartet is composed of violinists Kevin Rogers and Otis Harriel, violist Taija Warbelow and cellist Doug Machiz, all graduates of the San Francisco Conservatory of Music and still in their twenties. Their performances have been hailed in the press as “stunningly passionate” and “terribly beautiful.” They have performed in Carnegie Hall and in many venues around the United States and abroad. This past summer they won second place in the prestigious Schoenfeld International String Competition in Harbin, China. 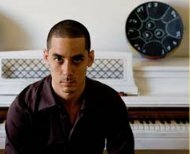 Described as “mold-breaking,” “alert and alive, “dramatic,” and “vital”, composer and percussionist Andy Akiho has emerged as one of America’s most successful and acclaimed young composers. His works have been performed by the New York Philharmonic, National Symphony, Shanghai Symphony and the Los Angeles Philharmonic. He received the 2014-2015 Luciano Berio Rome Prize, the 2014 Nadia Boulanger Memorial Fund Award, and numerous other awards. His compositions have been featured on PBS’s “News Hour with Jim Lehrer.” He was born in 1979 in South Carolina and now makes his home in New York City. Tickets for the concert are $25 for adults and $10 for children under 18. They may be ordered by mail by sending a check for the number desired to MLFM, PO Box 1362, Jackson, CA 95642, purchased in person at Mother Lode Music in Martell, or at the door. A reception honoring the artists will immediately follow the concert. Tickets to the reception are purchased separately, at $15 per person, and must be purchased in advance. For more information, call (209) 293-4227 or contact brickman@volcano.net.